Start each day or class period with an inspirational Astronomy Picture of the Day. Have it displayed on your classroom television so students see it as they enter your classroom. 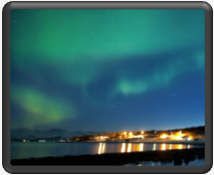 Start off by showing your students spectacular video of an auroras over Norway, go to the Nov. 24, 2010 picture (or in this case, video) of the day. Visit the Astronomy Picture of the Day website. A basil seed kit that can be used with the Plant Growth Chamber Engineering Design Challenge is available through CORE. Two suitcases, called Passive Experiment Containers, containing 3 million basil seeds were attached to the outside of the International Space Station during a spacewalk. The suitcases were left there for one year as part of the MISSE, or Materials International Space Station Experiment. One PEC was attached to one of the high-pressure tanks around the Crew Lock and the other was located on the outboard end of the Quest Joint Airlock. After the seeds were retrieved, a portion of them were planted on the space station, where they are growing in the station’s microgravity environment. The rest of the seeds were returned to Earth and have been packaged into kits with control seeds that remained on Earth. Students can use the scientific method to measure and compare seed germination rates — how fast space basil grows compared to Earth basil, etc. Packets are available from CORE for a flat rate shipping fee of $6.50 per kit. You won’t find any light sabers on the International Space Station, but you will find a trio of “droids” that look a lot like what any self-respecting science fiction fan remembers as a Star Wars “remote.” That’s the tricky little device that Luke Skywalker used to hone his light-saber skills before he went up against Darth Vader and the rest of the Evil Empire. But instead of being used for light-saber practice, the droids on the space station are being used to test automated rendezvous and formation flying in microgravity. And soon, there may be a host of other things the droids will be used to test, as their capabilities and uses are expanded and made available for National Laboratory and other uses. With support from the Department of Defense and NASA, Miller’s undergraduates built five working droids. Three of them are on the station now. During this episode of NASA Now, you’ll meet NASA physical scientist Lin Chambers, learn about the role of clouds in the Earth’s energy and water cycles, and find out how NASA collects cloud data. Understanding the impact of clouds is an important key to predicting how Earth’s climate may change in the future. Currently, five Earth observing satellites, known as the “A-Train” orbit the Earth. These satellites orbit in formation, following each other and barrel across the equator at about 1:30 p.m. local time each day. This behavior gives the constellation of satellites its name: The “A” stands for afternoon. By combining different sets of nearly simultaneous observations from these satellites, scientists are able to study important parameters related to climate. On Thursday, Nov. 18, IceBridge scientists will be on hand from the field to answer your questions about the mission. Joining the chat is easy. Simply visit this page on Thursday, Nov. 18, from 1 to 2 p.m. EST. The chat window will open at the bottom of this page starting at 12:30 p.m. EST. You can log in and be ready to ask questions at 1 p.m. The time and date is subject to change due to changes in the flight schedule to meet requirements for good weather over science targets. 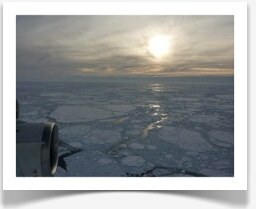 Link to the IceBridge Mission page. During this installment of NASA Now, NASA senior research engineer Judith Watson describes the project she’s currently working on. She’s one of a team of engineers at NASA’s Langley Research Center who are studying inflatable structures that might one day be used to establish an outpost on the moon or Mars. 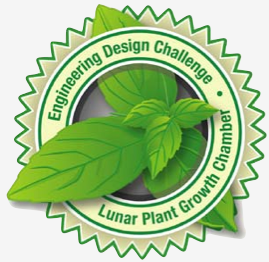 Spaced Out Sports is a national student design challenge for students in grades 5-8. The purpose is for students to apply Newton’s Laws of Motion to designing or redesigning a game for International Space Station astronauts to play in space. As students design a new sport, they learn about Newton’s Laws of Motion and the effect of gravity on an object. 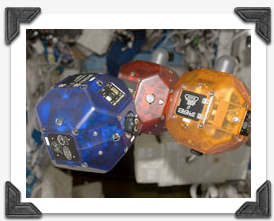 They predict the difference between a game or activity played on Earth and in the microgravity environment of the ISS. Participating student teams submit game demonstrations via a playbook and a video. Winning teams will be selected regionally and nationally by NASA Stennis Space Center’s Education Office. Entries must be postmarked by February 1, 2011. NASA’s EPOXI mission successfully flew by comet Hartley 2 at about 7 a.m. PDT (10 a.m. EDT) today, and the spacecraft has begun returning images. 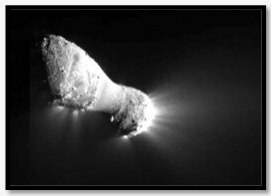 Hartley 2 is the fifth comet nucleus visited by a spacecraft. Scientists and mission controllers are currently viewing never-before-seen images of Hartley 2 appearing on their computer terminal screens. The accompanying picture of Comet Hartley 2 can be seen in glorious detail in this image from NASA’s EPOXI mission. It was taken as the spacecraft flew by around 6:59 a.m. PDT (9:59 a.m. EDT), from a distance of about 700 kilometers (435 miles). The comet’s nucleus, or main body, is approximately 2 kilometers (1.2 miles) long and .4 kilometers (.25 miles) at the “neck,” or most narrow portion. Jets can be seen streaming out of the nucleus. The mission’s Medium-Resolution Instrument was used to capture this view. For more information about EPOXI and to see the stunning pictures of Comet Hartley 2 visit https://www.nasa.gov/epoxi. Want to Go to Mars? Here&apos;s Your Chance. Someday YOU may one of the people to walk around on Mars. That’s some day in the future — way in the future. But here’s your chance to have a presence on Mars soon! Send your name to Mars! 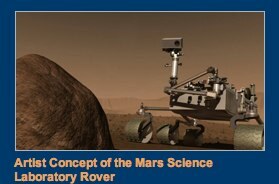 Your name will be included with others on a microchip attached to the rover, Curiosity. Launch is scheduled for between Nov. 25 and Dec. 18, 2011, with a Martian arrival date of August 2012. To send your name to Mars, sign-up at the registration website. Author John EntwistlePosted on November 4, 2010 June 19, 2013 Categories UncategorizedTags Astronomy Point of Interest, Education Point of Interest, General, NASA Point of Interest, Student Opportunity62 Comments on Want to Go to Mars? Here&apos;s Your Chance.